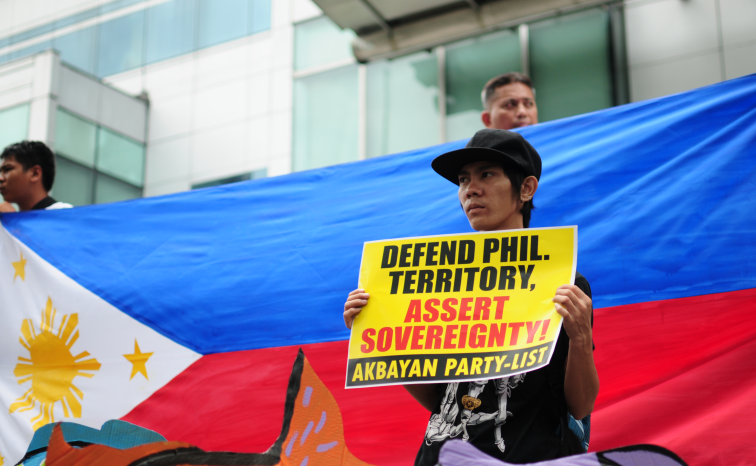 Akbayan members trooped to the Department of Foreign Affairs, assailing Sec. Alan Peter Cayetano’s plan to engage China in a “60-40” joint exploration project in the West Philippine Sea. The group also rejected the plan for Chinese President Xi Jinping to the Philippines at the end of the year. The protesters demanded Sec. Cayetano to bare first the 50-100 protests he claimed to have filed against China instead of starting a 60-40 exploration deal with them. ““No deal!” ang sagot ng taumbayan sa kahit anong pakikipagnegosyo sa China. Ginagawa lang na official ang pag-eencroach ng China sa exploration na ito,” Atty. Juan Carlo Tejano, chair of Akbayan Youth said. “Malaking kamalian ang plano ng DFA. 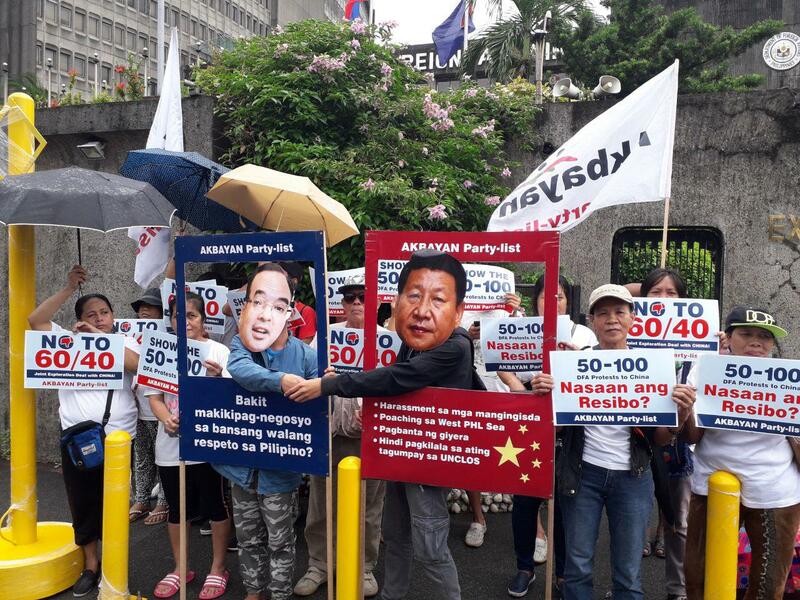 Pagkatapos ng 50-100 protest notes laban sa pambabastos ng China, bakit biglang may 60-40 partnership ang DFA kasama ang kalaban? 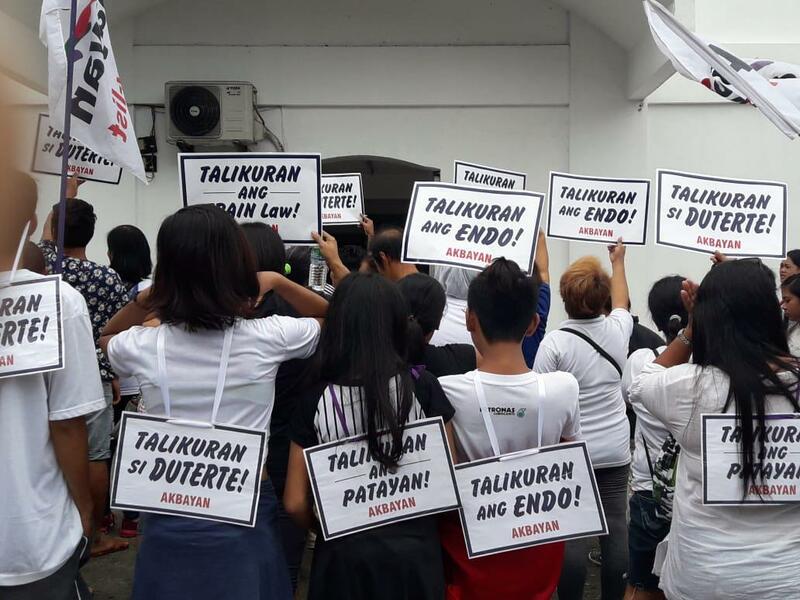 Ipakita muna ni Cayetano ang resibo kung totoong may isang daang protests,” Atty. JC Tejano, said. The protest featured members wearing masks of Sec. Cayetano and Chinese President Xi Jinping as they shake hands behind a giant frame, listing China’s attacks against the Philippines. The frame bore the message: “Bakit makikipagnegosyo sa bansang walang respeto sa mga Pilipino?” Akbayan listed harassment against fisherfolks, poaching in Philippine seas, threat of war and not recognizing the Philippines’ victory in Hague as China’s acts against against the Philippines. Akbayan wishes to clarify its position regarding the issuance of arrest warrants last July 27, 2018 over murder charges filed in Palayan City Regional Trial Court, against Liza Maza, Satur Ocampo, Teodoro Casiño and Rafael Mariano. 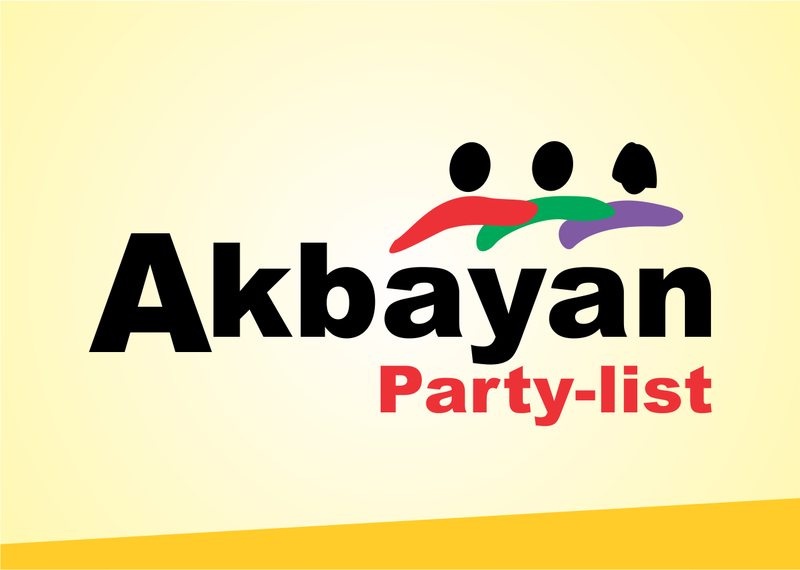 News reports have persistently mentioned the farmers murdered in Nueva Ecija, namely Carlito Bayudang, Jimmy Perlata and Danilo Felipe as "supporters of rival party list Akbayan". 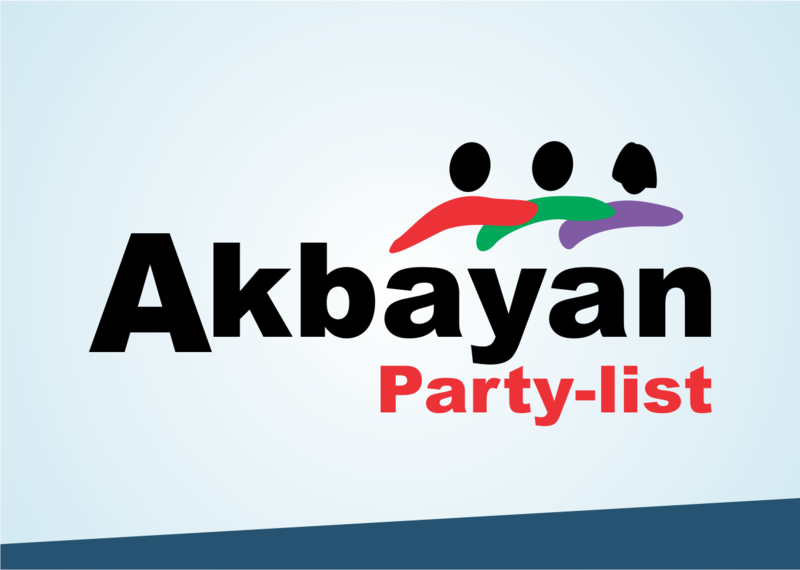 Foremost, we must emphasize that Akbayan is not party to the legal case. More importantly, we wish to call attention to several important points in the hopes of educating our people on the proper interpretation of human rights and due process. First, we condemned and continue to condemn the unconscionable murder of the three farmers. Whether this was done by the military or any other armed group is still a human rights violation. The fact that this happened during the time of the presidency of Gloria Macapagal Arroyo is important. We consistently have decried extrajudicial killings regardless of who is in power, regardless of whether this is done at the hands of government or other armed groups. Murder is not just a gross human rights violation but recognized as a heinous crime by Philippine law. We disagree with those who think that our stand against EJKs at this time is merely due to our opposition to the current murderous regime or that our insistence on stopping the drug war disregards the rights of the victims of criminality. The taking of life whether by criminals, armed groups and state forces is wrong. This is consistent with our stance against the death penalty. Under an administration known for human rights violations and attacks on the country’s democratic institutions, Duterte’s cha-cha can prove to be a deadly dance for democracy, as it dangles the suspension of the 2019 elections, effectively extending the term of Duterte’s allies in Congress. Such self-serving agenda and the anti-democratic way of charter change only seeks to consolidate the power of Duterte beyond the six-year term he was elected under the 1987 Constitution. His political agenda of imposing his brand of dictatorship has been exposed when he succeeded in ousting the Supreme Court Chief Justice, putting judicial independence in limbo. He has also threatened, cajoled, and captured politicians to support him through fear and actual physical violence while mesmerising the middle and upper classes in the illusion that peace and order will come with his war against the poor whom he has massacred in a failed war against illegal drugs. Duterte’s cha-cha has also failed to capture the imagination of our people. All surveys have shown that two-thirds of Filipinos strongly disagree to charter change and 75% of Filipinos do not have any clue what a new charter is all about. Of the 25% who knew about it, only a net +7 percent wants it. Even in Mindanao where the clamor is historically strong, only 51% wants it now. The rest of the country strongly opposes it now and in the future. Without public clamor, there is no urgency and importance of charter change. Forcing it will invite political instability and even drag our nation’s economy down. On the second anniversary of the Hague ruling that asserted the Philippines' sovereign rights in the West Philippine Sea, Akbayan spokesperson Gio Tingson accused President Rodrigo Duterte of doing an own goal-- a term used in football meaning a team scores for its own opponent. "Swak pero para sa kalaban. Pinapatalo tayo ng pamahalaan. They still refuse to enforce the ruling against China's aggressive expansion," Tingson said. "The Duterte government is paving the way for a Chinese victory when he decided not to stand up for our country as they disregard the Hague ruling against China's aggressive encroachment," he added. "As China installs missiles and bomber jets near our country and Filipino fishermen are harassed out at sea, the Hague ruling--our ultimate weapon-- is only gathering dust under President Duterte's watch. Clearly, this is tantamount to a violation of our sovereignty as a nation-- another country is pointing its weapons at us and continues to mistreat our own citizens while the government is doing nothing to rectify this situation," Tingson said. "The self-sabotage appears to be deliberate, too. As Foreign Affairs Secretary Alan Cayetano insists that the West Philippine Sea is disputed despite our clear win in the Hague and that we must settle for co-ownership with China. There is something definitely wrong if we have a government that can flex its muscles against its own citizens and not against foreigners who trample on our sovereignty," Tingson added.